It’s 10:30 on a Monday night and the Candy Girls, aka Jennifer Hawkins-Smith, Anna, and Sonja (the latter declined to use their last name) have just arrived at the commercial kitchen they rent, carrying bags of groceries. The late hour is the time they always meet to begin their orders for their many customers. And why couldn’t they give samples? Because the Candy Girls are one of Denver’s most prominent medical marijuana edibles companies, supplying many dispensaries with a wide variety of baked goods and savory dishes. Tonight’s orders include whole wheat bread, truffles, and cookies. The Candy Girls began in a small north Denver apartment, when the three women began creating cannabis-infused candies for medical marijuana patients they knew couldn’t afford to buy their own. 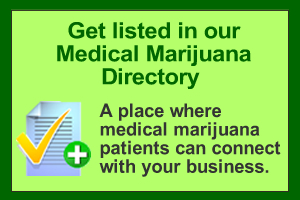 From that limited menu, they’ve grown and expanded along with the rest of the the Colorado medical marijuana industry. Jennifer and Anna, who are first cousins, first named their company “Growers for God,” since they feel that cannabis was a healing plant in the tree of life, a belief that all organisms on earth are genetically related. However, their appreciative customers kept calling them the Candy Girls, and the name stuck. Soon dispensary owners were calling them for their chocolate truffles, lemon pies and mini-cheesecakes. The Candy Girls pride themselves on the fact that their food is made with no preservatives and is all organic. Their canna-butter, which they offer in whipped form with different flavorings, is “washed” often to eliminate as many impurities as possible. Their extensive menu includes soups, appetizers, salad dressing, and more. Gluten-free, diabetic-friendly, and heart-healthy creations are also available. Many dispensary owners push edibles because smoking is not healthy. Chemo patients who are trying to regain their appetites and weight, are particularly keen on edibles. The Candy Girls are affiliated with the Tree of Life Caregiver Co-op in Denver, and they work personally with patients there, helping with nutrition and special diet. Both Jennifer and Anna have family members who have healed through the co-op, and they feel strongly about helping those truly in pain—whether mental or physical. One family member, diagnosed with a seizure disorder, was one of the first hundred Coloradans to obtain a medical marijuana card. During this time, they visited some shady dispensaries; as a result, they are very particular about the dispensaries they sell to. Now the Candy Girls bake for many Colorado dispensaries, including a customer who drives in from Grand Junction and a Chinese restaurant in Colorado Springs that sells their medicated chocolate-dipped cherries.